There’s a reason West Coast Canning’s mobile canning service is the packaging solution of choice for breweries, cideries and wineries across Western Canada. With four years’ experience, locations in both BC and Alberta and over 10 million cans packaged in Western Canada alone, you can rest assured that your product is safe with us. 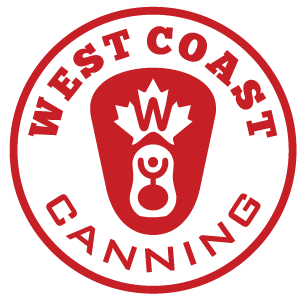 West Coast Canning’s mobile canning services are the perfect solution to your packaging woes. Why waste valuable space, capital and resources on expensive canning equipment when you could let Canada’s most experienced mobile canning professionals do it for you? We bring the cans, canning line, packaging materials and staff to your facility, leaving nothing behind but freshly canned product. Pay for what you need, when you need it. Our expert mobile canning team arrive at your brewery, bringing one of our Wild Goose canning lines and the exact amount of cans required for the day, plus any packaging materials you may require. Prior to set-up, our lead operator will test your product to ensure it is within our working specifications. This ensures a smooth canning run with minimal wastage and provides valuable information about the potential shelf life of your canned product. After a rigorous clean-in-place procedure, our team get things rolling, performing a range of meticulous quality control tests throughout the day. Every can is date coded, sanitized and purged with CO2 prior to filling. With four years of experience our team is setting the industry standard. We give you peace of mind that your product will reach the consumer just as fresh as the moment it left the tank. Forget about storing mountains of cans and cumbersome equipment. At the end of the canning run we pack up and take everything but the filled cans with us, leaving you free to use your space however you need. At West Coast Canning, we pride ourselves on the quality and professionalism of our service. In the competitive world of craft beer in particular, we fully understand the importance of guaranteeing the quality of your product when it reaches the consumer. Our quality control measures are second to none.